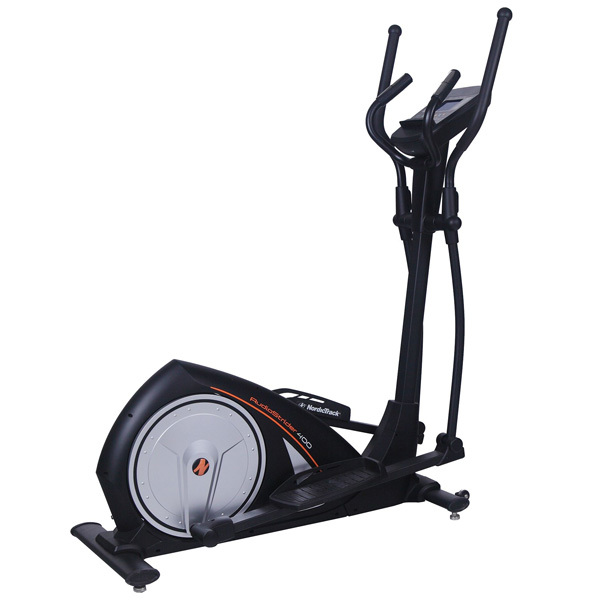 NordicTrack is one of the oldest and most trusted global names in the home fitness market. They’ve been delivering great bang-for-buck for many years so we were looking forward to one of their latest offerings. 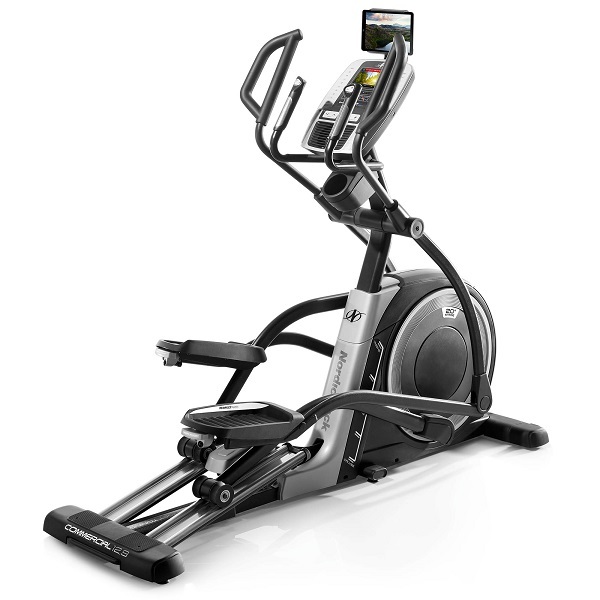 The Audiostrider 400 is the entry level elliptical in the current NordicTrack range and as it’s the first elliptical trainer from them that we’ve had the chance to test this year we were looking forward to seeing how it performed. Like previous NordicTrack machines we’ve come across the instruction manual for assembly is clear and easy to follow and while we’ve never come across an elliptical trainer that was anything but a little time consuming to put together NordicTrack have at least managed to get the assembly process divided into to six main stages and you’ll only really gone wrong if you think you know how to put it together and don’t pay attention to the manual. All in all it took us an hour and ten minutes from start to finish. Standing back to take a look at, and appreciate our handiwork the AS400 looks neat and tidy. The black finish with silver trim is very popular on modern machines and you can see why. 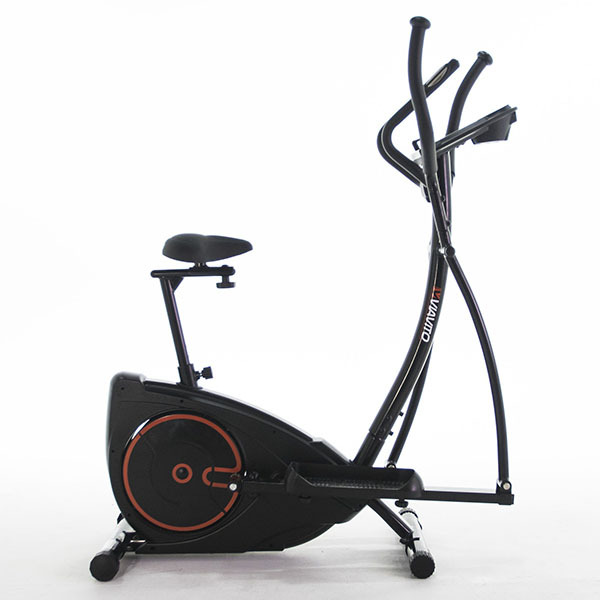 This is a tidy looking machine that will fit neatly into most any setting and isn’t so huge as to dominate a room. Working through the 20 resistance levels is smooth and consistent between each stage, with the maximum setting providing enough of a challenge for the intermediate user and more than enough for beginners though seasoned fitness devotees will probably want more. 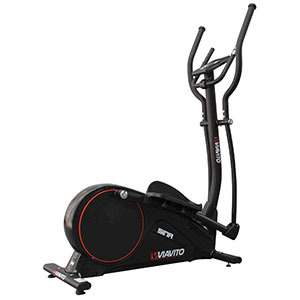 Unlike a lot of ellipticals on the market the footplates on the Audiostrider 400 are not adjustable so this is definitely a one size fits all machine. This is fine if you’re of ‘average’ height and proportions but may pose an issue if you’re particularly short. In fairness, the range of user sizes that the one size fits all set up has been designed to cope with is quite broad so it does cater for most people. The console has a 5″ backlit LCD display which is easy to read from most angles and has the unusual, but very welcome, option of making adjustments to the display. You can alter the contrast levels of the display, switch between imperial and metric settings and toggle the annoying audio coach on and off (always, always off for us!). To get going is as easy as it could possibly be, though if you don’t know that all you have to do to start training in manual mode is get on the machine – and start training, you’re very likely to spend 10 minutes trying to locate a ‘start’ button that doesn’t exist!! It’s actually wonderfully simple and does make you question why on other machines a start button is necessary. The same goes for the preset programmes. All you need to do is select the programme you want, and start pedalling – that’s it. In our opinion, this is a really nice way to set things up and it works brilliantly well. A really nice feature. Resistance is adjusted by either pressing one of the numbered keys on the console or via the +/- buttons on the console. 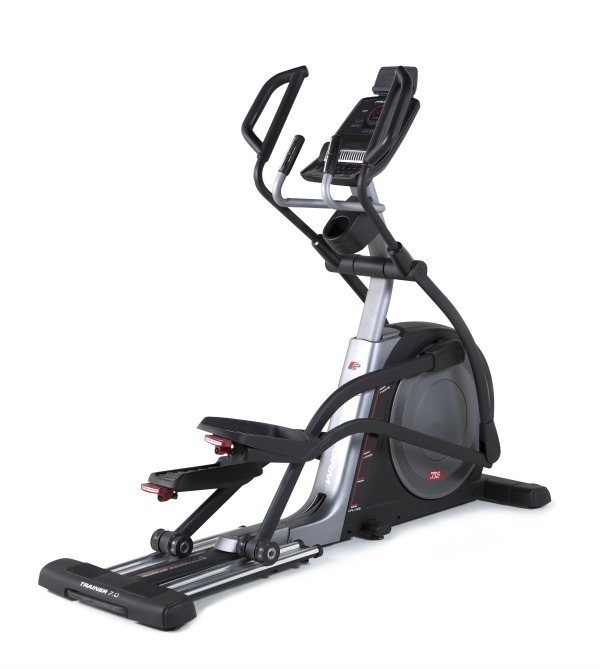 There are no controls on the handlebars to do this but then this is an entry level elliptical so we’re not surprised that they’re not to be found on this model. In terms of workouts, there are 20 different programmes built into the console which are divided into speed (which we take to mean cardio) and calorie burn, each containing 10 programmes of varying difficulty. They certainly do get quite a lot harder and longer as you work through them so this should keep most users challenged and interested for a long time. In addition, NordicTrack have also built in some tasters for their ifit live system. In order to get to use all the features of ifit live with the AS400 it’s necessary to purchase a compatible module separately but you can get a glimpse of some of the things on offer by pressing on one of the ifit buttons that are on the console. These break down into Map, Train, Compete, Track and Lose Weight. Pressing on any of these buttons gives you access to 2 workouts of that type. To gain access to further programmes purchase of the ifit module is necessary however the built-in programmes do mean you get access to another 10 training options meaning that you’ve got 30 preset programmes in total, which is a huge number to choose from. Finally, in addition to the presets and manual workouts there’s also a ‘set-a-goal’ function. This programme allows you to set a goal for calorie, distance, or time. Once set just start working out and keep going until you’ve reached your goal. All in all this console offers a great deal for something at this price range. We’re impressed. For more information on iFitLive, we’d suggest checking out the iFit.com website. To make use of iFit Live, you’ll need to purchase a wireless iFit module as well as a subscription to the service (typically around £100 for a module and a year’s subscription). We’ve played around with iFit Live a fair bit as we’ve reviewed different machines that make use of it and it is definitely pretty cool. But it’s worth reminding our readers here that the AS400 offers plenty of training options out of the box without having to spend extra on a module. Other positives for the console are that it has a built-in wireless heart rate receiver and also provides more training data than we’re used to seeing on most models and certainly more than we’re used to seeing on entry level models. 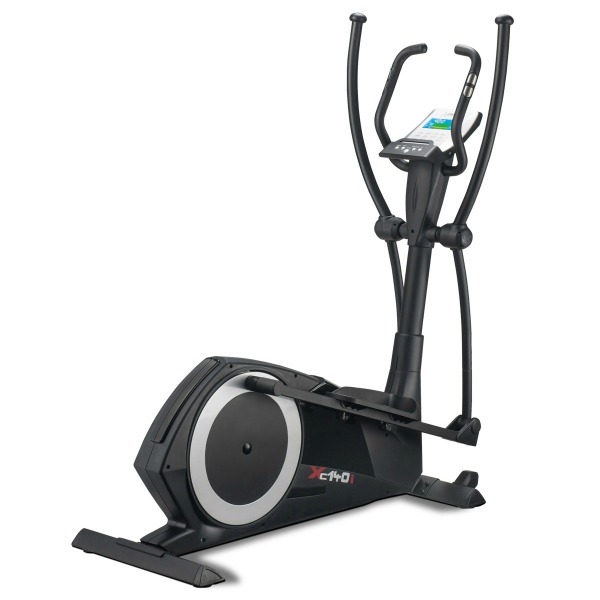 In addition to the standard calorie burn, time, distance, pulse, resistance and speed you also benefit from calories per hour data, total number of strides and the My Trail data which represents 1/4 mile (400 m) theoretical track that details your progress around the track and the number of completed laps. One negative is that there are no user profiles so it’s not possible to enter your personal details to get more accurate data but again it’s worth pointing out that this is an entry level machine and offers a lot in comparison to other models at a similar price point. 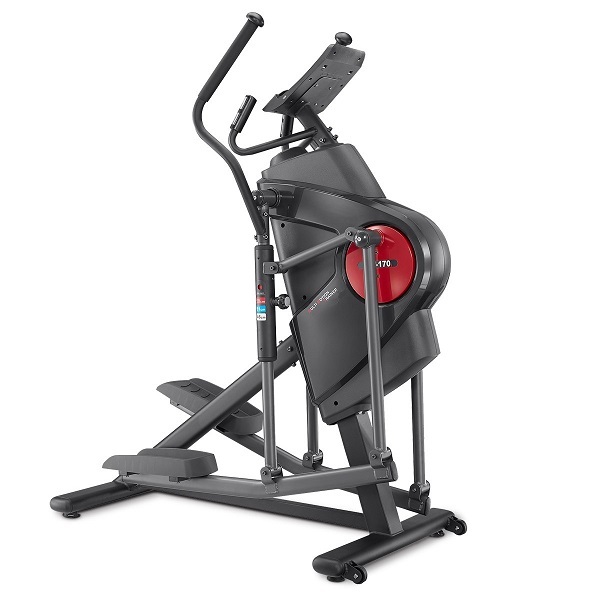 The AS400 has a maximum user weight of 115kg (253.5lbs) and a two-year parts and labour manufacturer’s warranty. 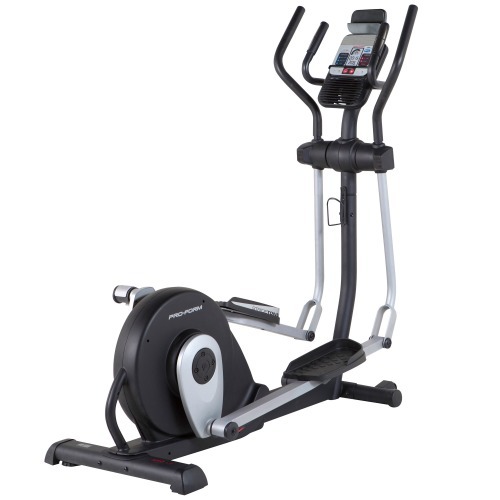 Like all Icon Health & Fitness machines, you need to register the elliptical with them within 28 days of purchase to get the second year warranty cover. At 51kg (112.5lbs), the Audiostrider 400 is a fairly light machine so moving it around on the transport wheels built into the front stabiliser is quite easy so if you do need to move it, it’s not a two-man job. 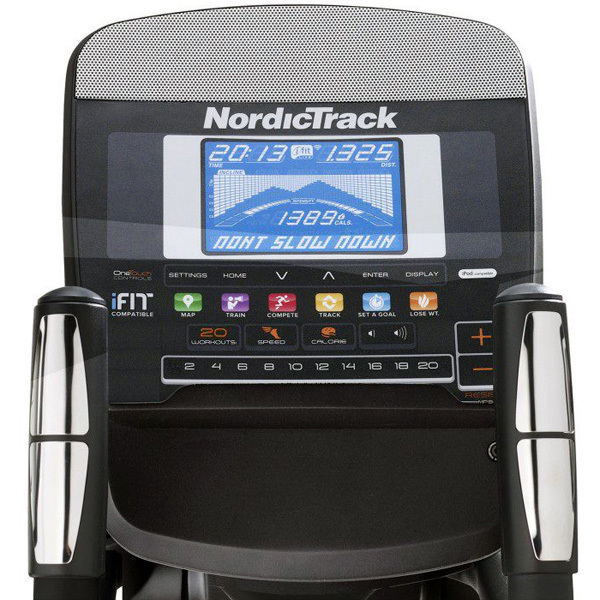 The NordicTrack Audiostrider 400 is not currently available from any retailers we're aware of in the UK. 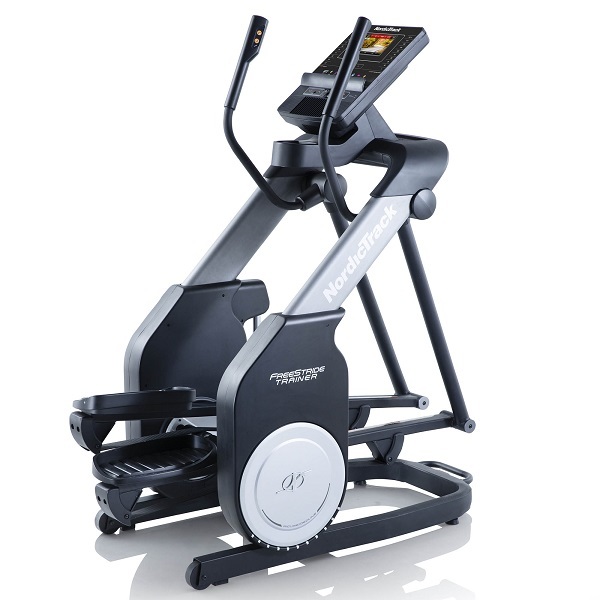 The NordicTrack Audiostrider 400 is a solid machine with a good range of training programmes and is designed to cater for a wide range of different users. Whilst in its own right it's a good machine, it's also quite old and compared with newer models it struggles to keep up. 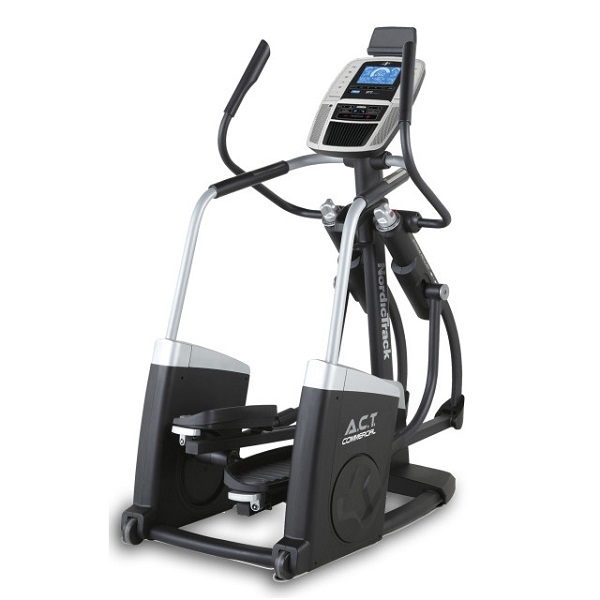 If you're looking at an elliptical at this price we can't think why you'd buy the AS400 over and above the Proform 450 LE which boasts a longer 18" stride and allows you to subscribe to, and use, iFit Live without having to shell out on an iFit module at considerable cost and is available for less.